Ted is a beautiful tri color, rough coat. Ted is all about life. He is full of it, and loves it all. Ted is BAER normal,DM, PLL & SCA normal by descent. Saying goodbye to this guy is hard. He was our go to dog, he did everything. Was easy to show, would do go to ground, race even though he wasn't fast. Agility, child and youth handler. We could hunt him with anyone, any where. I'm sure Boo is barking at you on the other side. Gigolo is a true gentleman. He is easy to show for me and for the kids. He is a pleasure to hunt with. 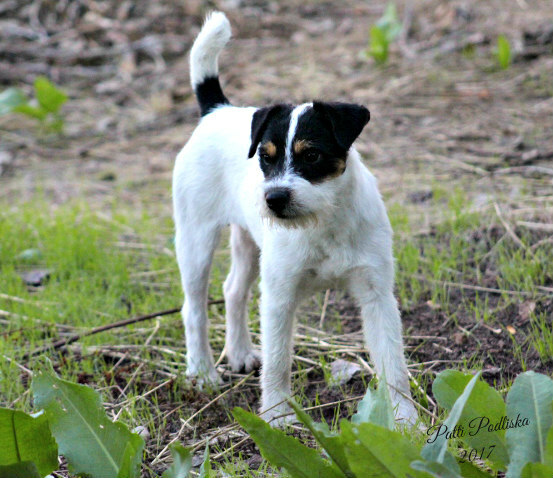 Words can not describe the joy this little white dog has brought to us. along with his great looks. "Gig" has a terrific show record. 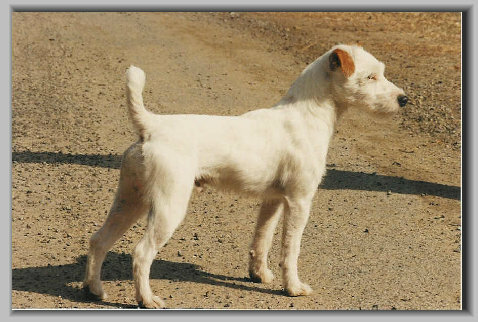 Tuffy is our OLD man, he has a wonderful history in the show ring and in the field. 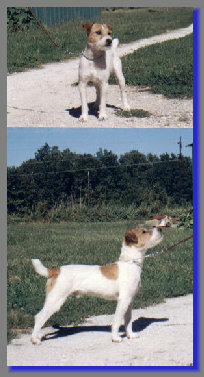 Tuffy place 4th in 6-9 month dog pups at the Heartland Trial in 1996, 5th in 6-9 month Broken/Rough dog pups at the JRTCA SW Regional in 1996. 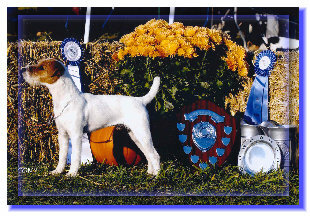 He received 1st place in under rough/broken dogs at the North American Terrier Classic in 1996,also at the same trial he won the novice adult, Kentucky Bred, BEST OPEN DOG. 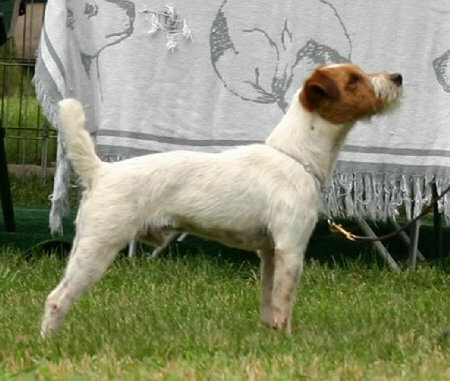 Tuffy was 2nd in Kentucky Bred at the North American Working Terrier Trial. He was still showing in the Verterans class and winning. He has a real nice show record. 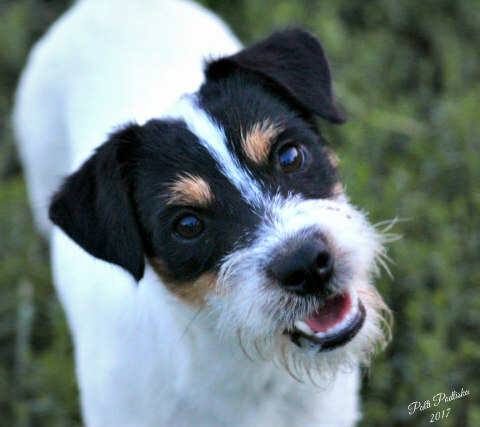 Tuffy is so sweet natured, and loves to give kisses. 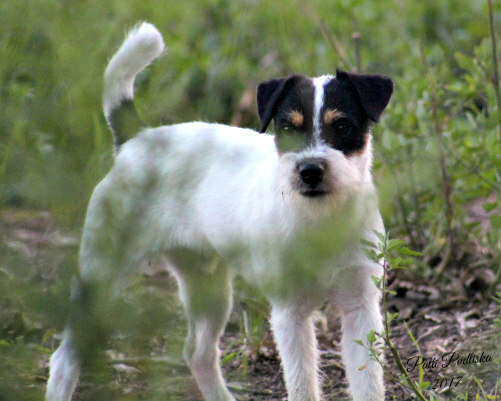 Tuffy taught all of the young dogs how to hunt. He was very good with beginners. Thank you Terri Lee and Karen McCarthy for the honor to have Lasher back to the USA and to the Mid-West. Lasher has fluent movement, Very stong head. He has a lot of hunt in him. We got Lasher in April of 2004, he has already proven to us, he will hunt! He holds a Natural hunting certificate to raccon. 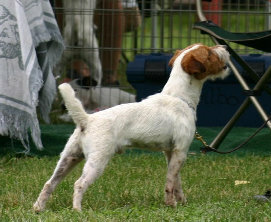 He is registered JRTCA and JRTCC. My oldest son Ross has clamed Lasher as his.